Size(inches): 3.2 x 1.6 x 6.3"
- Free app from iTunes® and Google Play™ for taking readings and further analysis. 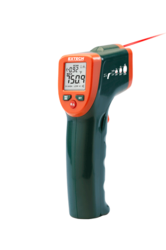 - Measures Humidity and Temperature simultaneously. - Calculates Wet Bulb and Dew Point Temperature. - Continuous graph plots Humidity and Temperature changes over time. 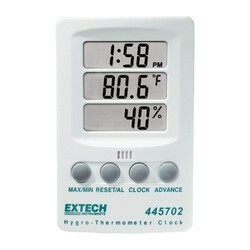 - 5 user-settable high/low alarms for both Temperature and Humidity.